During the busy period I mentioned in the last post I updated my personal website. It’s not yet my vision for the site, which isn’t completely defined, but it was an opportunity to learn to use frameworks while quickly giving the site a much needed new look, even if it’s temporary. 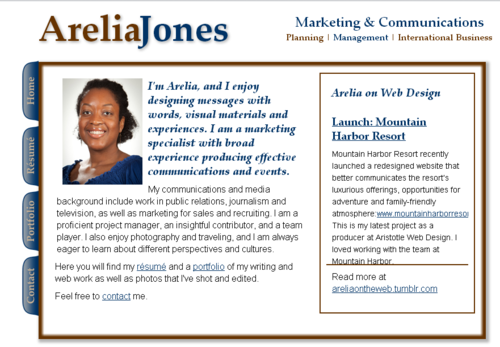 Earlier I’d started a redesign using a responsive résumé template, which taught me how to use media queries. Then I started a design using the 960 grid before moving to Twitter Bootstrap. I’ll post my thoughts on that next week.